Francis Quirk Master Painter Blog: National Portrait Gallery Provides Improved Edgar Lee Masters Portrait Image and Wow! Francis J.Quirks' Self-Portrait is in the Gallery as Well. National Portrait Gallery Provides Improved Edgar Lee Masters Portrait Image and Wow! Francis J.Quirks' Self-Portrait is in the Gallery as Well. The National Portrait Gallery graciously provided the image above of master painter Francis Quirk's painting of Edgar Lee Masters. In this version, you can more clearly see the picture on the wall, the figure on the desk, and the open book on the book case. We began examining the picture on the wall thinking that perhaps it was Hemingway. But an enlargement blew us away! 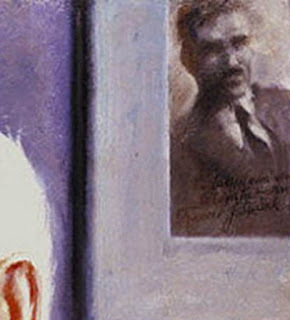 It appears that the painted photo on the wall is a depiction of Francis J. Quirk with a signed dedication. 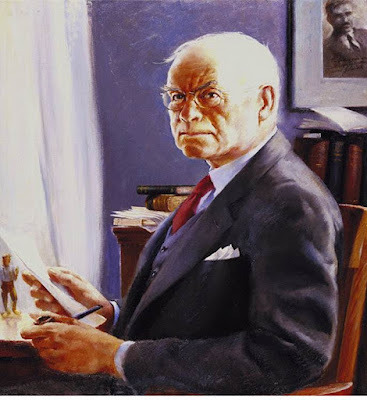 It appears that Francis J. Quirk is one of few artists with a self-portrait and a portrait in the National Portrait Gallery. 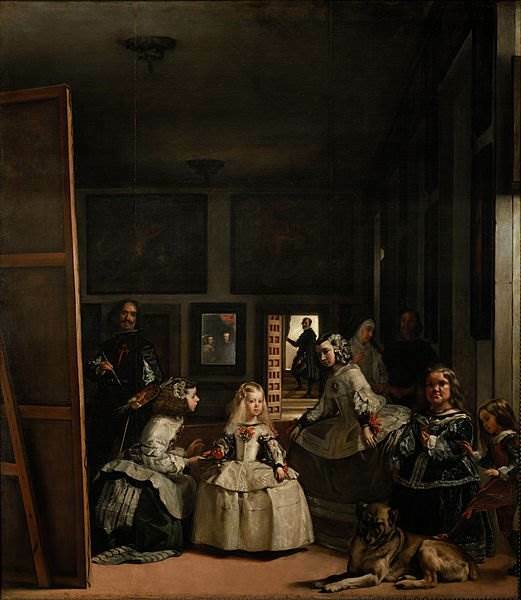 This reminds one of perhaps the world's most famous self-portrait within a portrait Velasquez' Las Meninas, which was painted in 1656. Velasquez is standing at left.